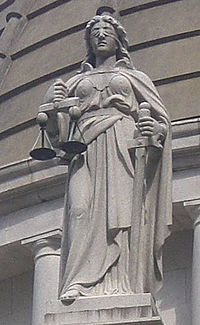 I was a federal prosecutor in Augusta, Georgia for over 20 years. I thought I saw a little bit of everything! But I never saw a criminal charge brought against a judge. But that is exactly what happened on friday in the State of Michigan. According to various news reports, a criminal information has been filed in federal court against Michigan Supreme Court Justice Diane Hathaway. Justice Hathaway is reportedly accused of mortgage fraud based upon alleged steps she took to conceal property she owned in Florida in connection with the sale of a Detroit home. In federal court, an "information" is simply the word which refers to the formal accusation, or the charging document, filed by an Assistant U.S. Attorney, in a criminal case. Generally, the government must obtain a grand jury indictment, in felony cases, unless the defendant is willing to waive it. If he or she waives the grand jury process, then the federal prosecutor is authorized to simply file the information, or accusation, to begin the criminal court process. I thought that criminal charges being brought against a judge were unheard of. But then, I googled the keywords "criminal charge against judge" and got a long list of such cases. So, maybe I didn't see "everything" after all, while working as a federal prosecutor! I guess that those at the top can make mistakes or commit crimes too.. If this Judge is found to be guilty of the alleged offense then I guess she will feel a hefty weight of the law against her...maybe! Thanks for the visit and the astute observation!